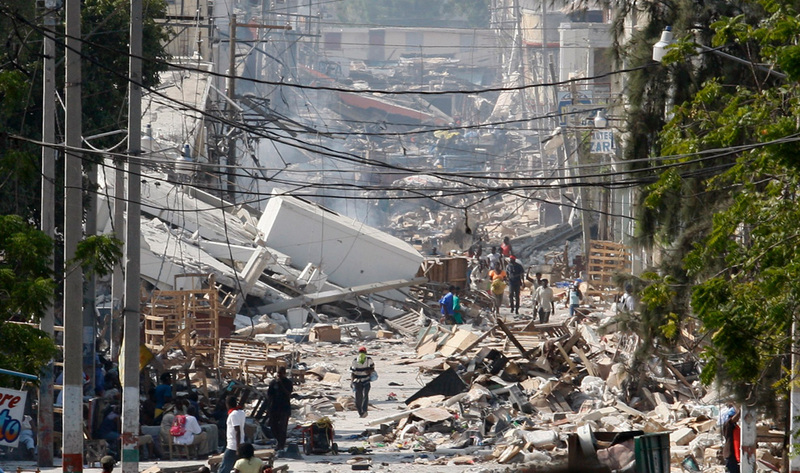 There is still desperate need in Haiti. No one organization is able to take care of everything. There are not enough aid workers or doctors. Food and water are in short supply, and disease is a huge threat. Please take a moment to see what things are like there at this moment. Many of the images are very graphic. Alan Taylor (18 January 2010). The Big Picture. The Boston Globe. Please make a contribution to one of these organizations to help this impoverished nation in their time of need. You can also give a donation to the American Red Cross via your iTunes Store account, or give $10 on your cell-phone bill by texting "Haiti" to 90999. Interesting read, cheers! I finally view the big image .